She is unique in every way and so is your love. Capture the special memories you share together as a couple with a bespoke design from Shimansky. Create a custom jewellery design that truly reflects your unique personality and style. At Shimansky, we invite you to design your own jewellery creation with our team of jewellery designers and master craftsmen. “It is important that you treasure the memory of your special moment as much as you treasure the jewellery creation that brought it to life." Breathtakingly beautiful and truly iconic by design, each Shimansky creation is renowned for its technical precision and overall excellence. Our custom engagement rings are designed to speak to her heart and capture the time you spend together as a couple. Create a jewellery design your significant other will cherish for many more magical years to come. Shimansky offers a wide variety of loose diamonds to suit any design. Select from any of our signature diamond cuts like the My Girl and Brilliant 10 diamonds, or unique fancy shapes such as a cushion shape or oval shape diamonds to find the perfect symbol of your love. 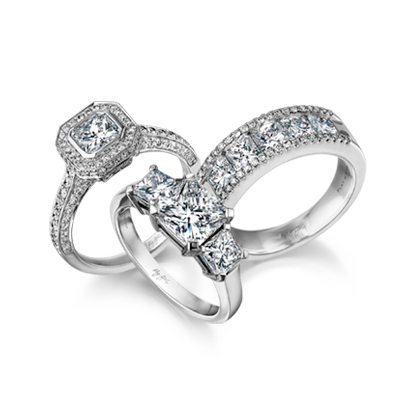 Incorporate the remarkable diamond cut with a breathtakingly beautiful setting of your own. Our in-house designers will be delighted to guide you through this exciting journey. Creating the perfect bespoke jewellery item is an emotionally rewarding experience. We believe each Shimansky diamond masterpiece is born from a desire to create an original design especially for you. With a combination of skilled artistry and our state-of-the-art 3D CAD technology, we will be sure to bring your custom jewellery design to life.